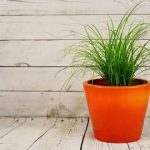 When it comes to the point of adding a green flavor to your office or restaurant or any commercial, be it indoor or outdoor space, Joy Greens is a One-Stop Solution. With great experience in the types of soil, watering frequency, or its existence in AC conditions, we are here with expertise to guide you. When it comes to planning and execution of the interior and exterior of your office, hospital, restaurant, bar and so on, you can count on Joy Greens for providing complete end to end solutions. Annual Maintenance Contracts can also be made up for maintenance to be done every fortnightly or once a month ( as per requirement).